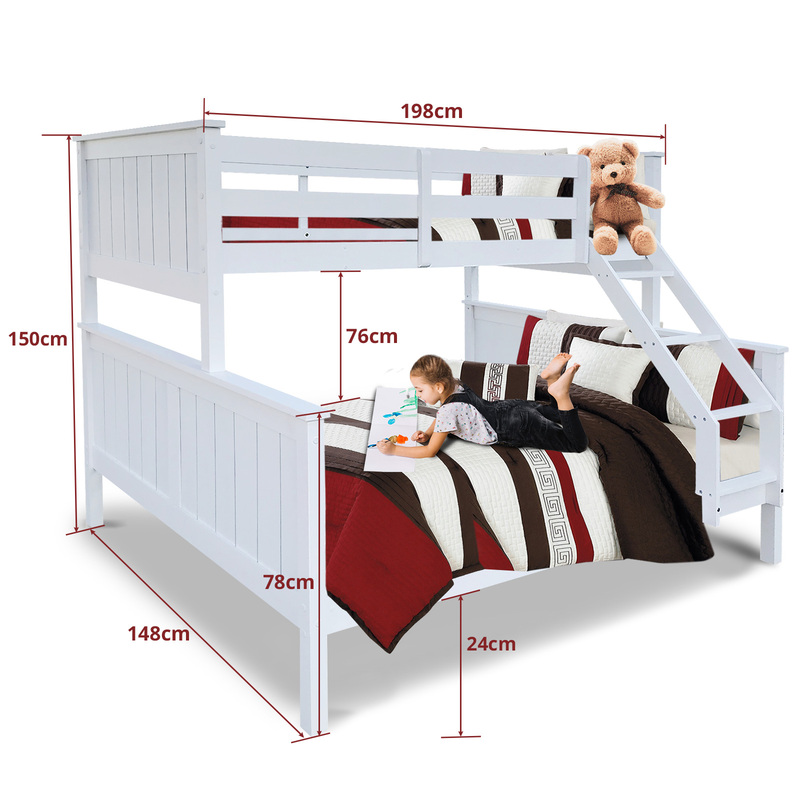 Don’t keep buying beds as your kids grow, buy a bed that can grow and change with your kids!! 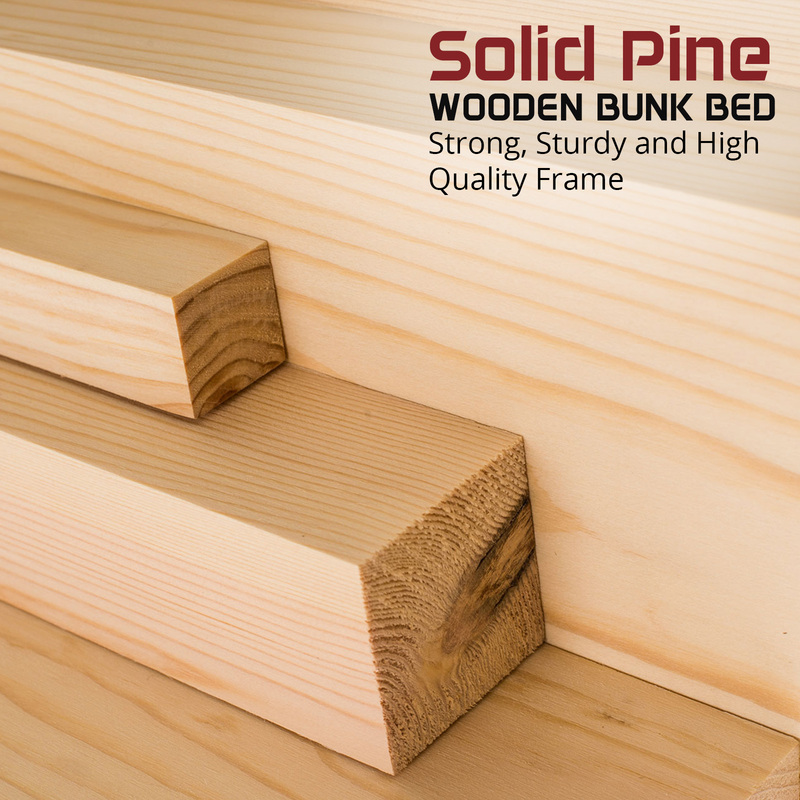 Versatility is the key to longevity. 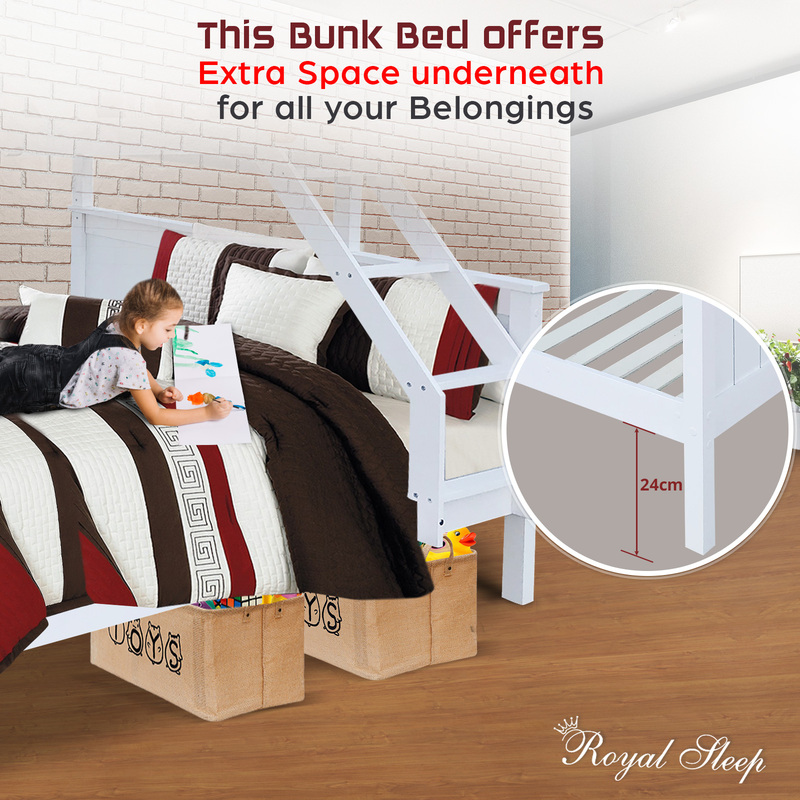 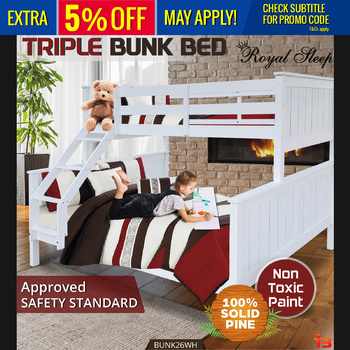 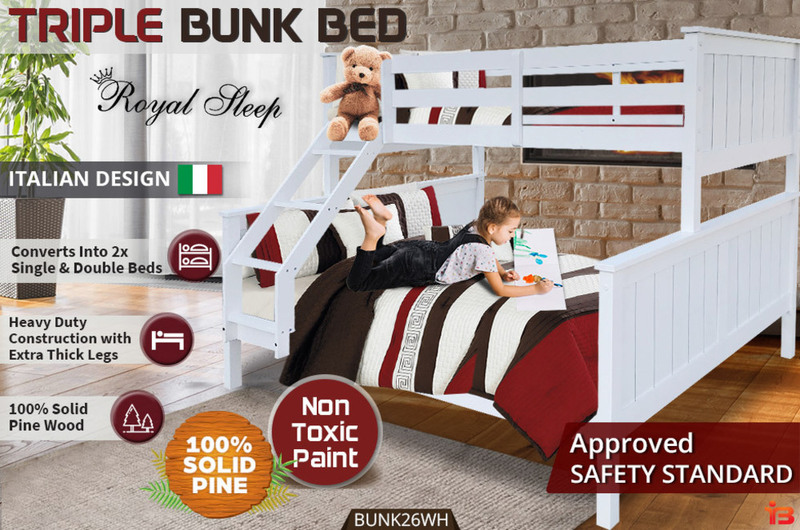 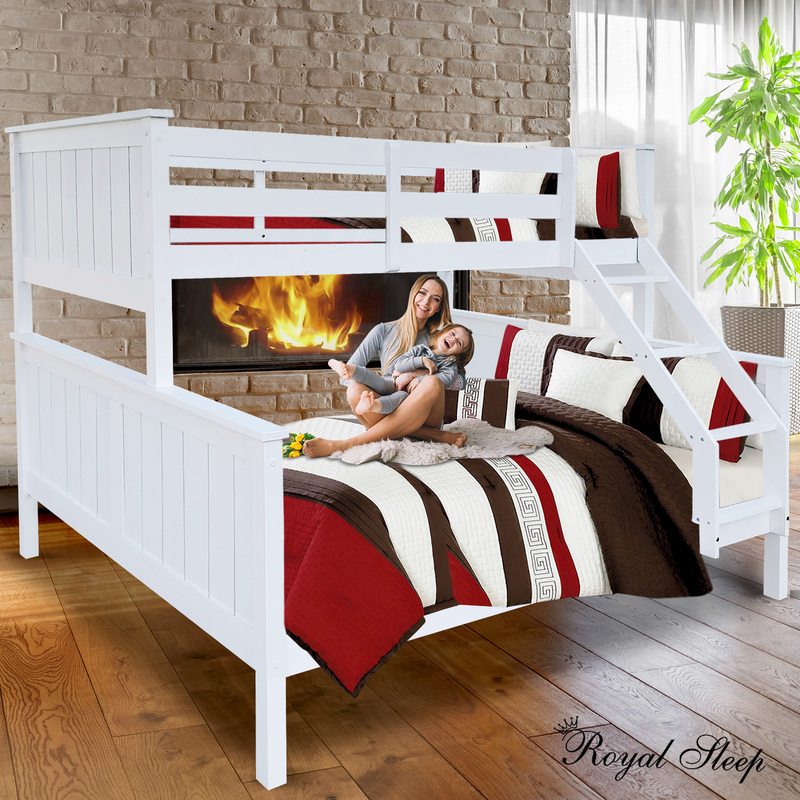 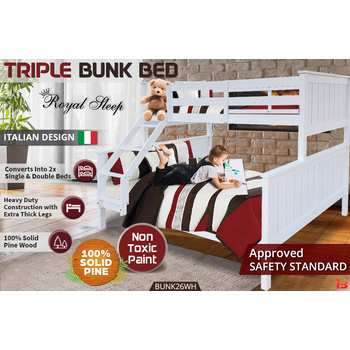 This versatile Triple bunk bed from Royal sleep allows you to keep up with the growing needs of your family. 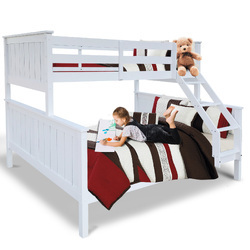 It starts as a bunk bed with a double bed on the bottom and a single bed on top. 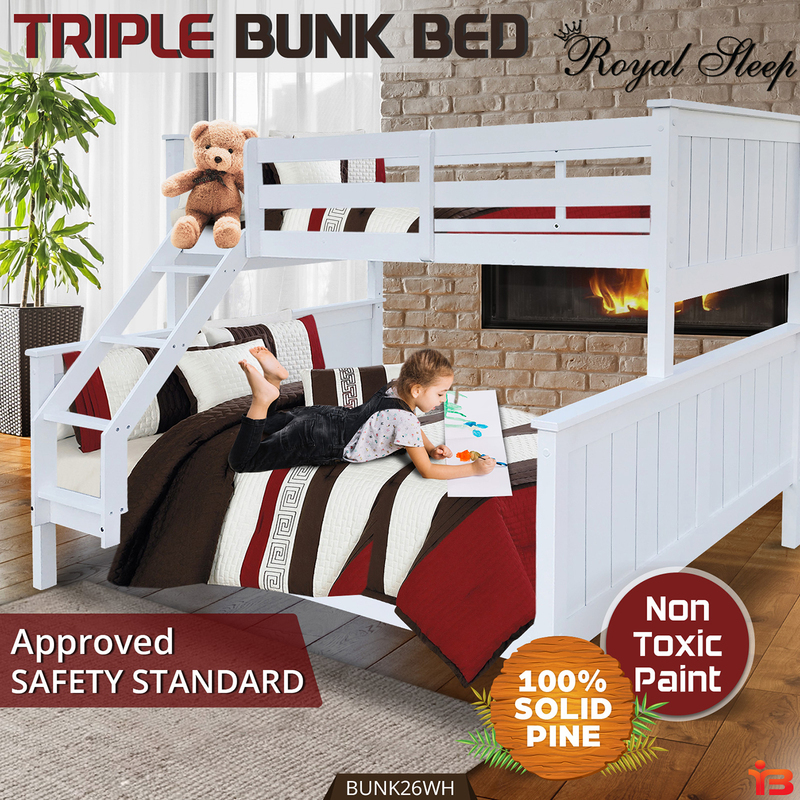 Made from solid pine wood, your kids will always feel safe and secure as the design is strong, sturdy and durable. 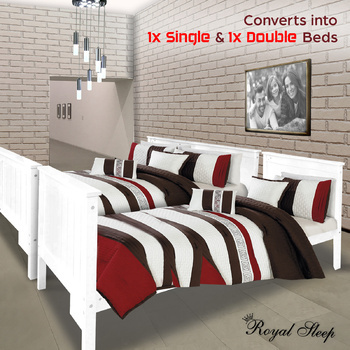 Each bed is completed with 14 plywood slats for added comfort. 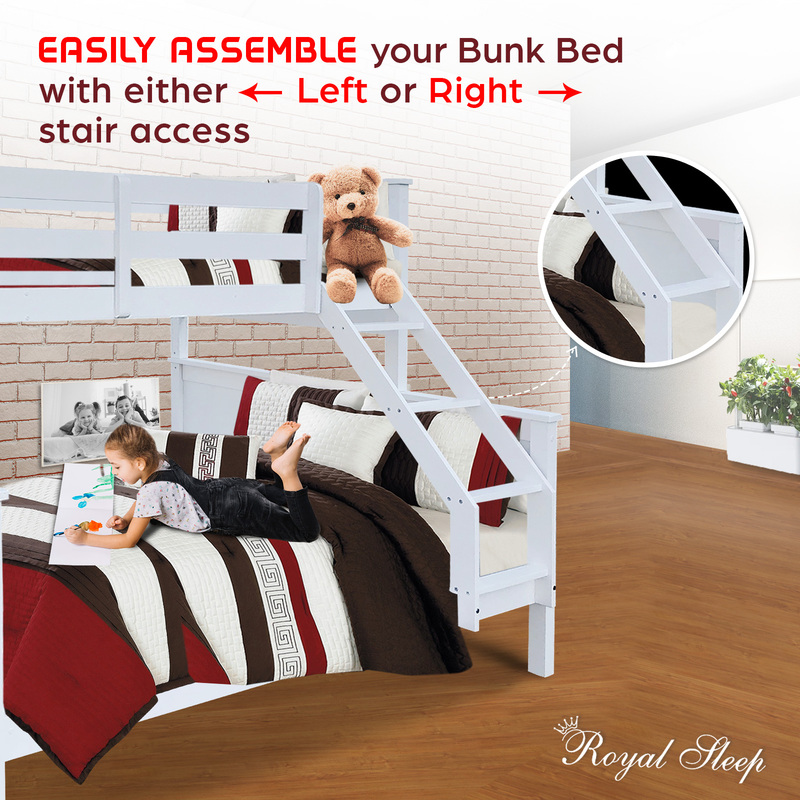 Access to the top bunk is made easy with step ladder with extra wide steps for better foot placement and stability. 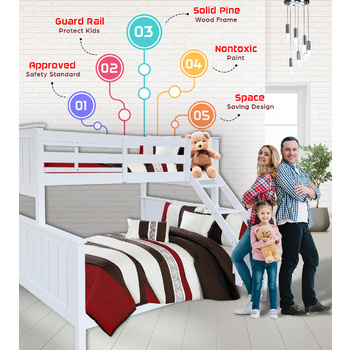 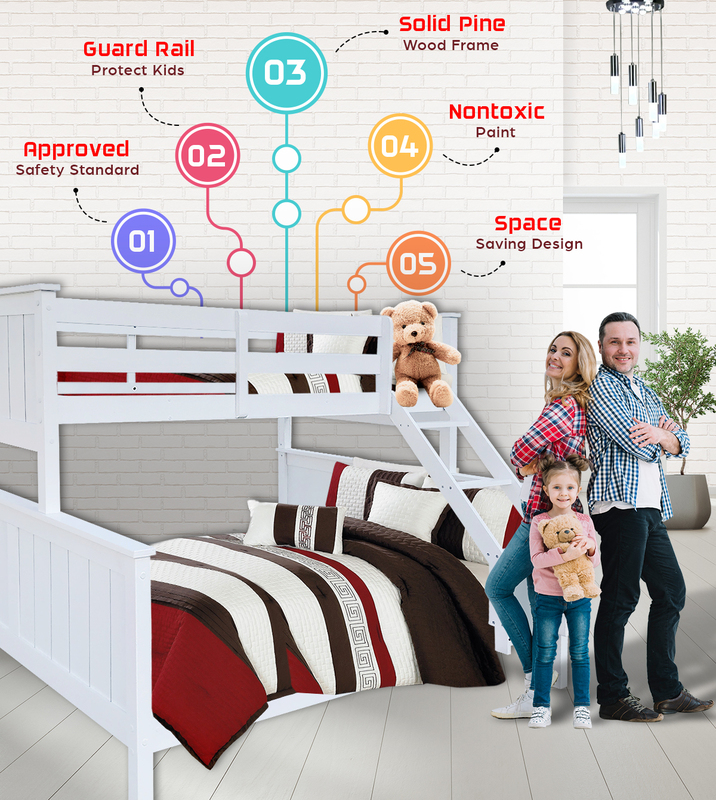 This access ladder can be added to either side of the bed and with the full safety rails on the top bunk your children are always safe, whether awake or asleep. 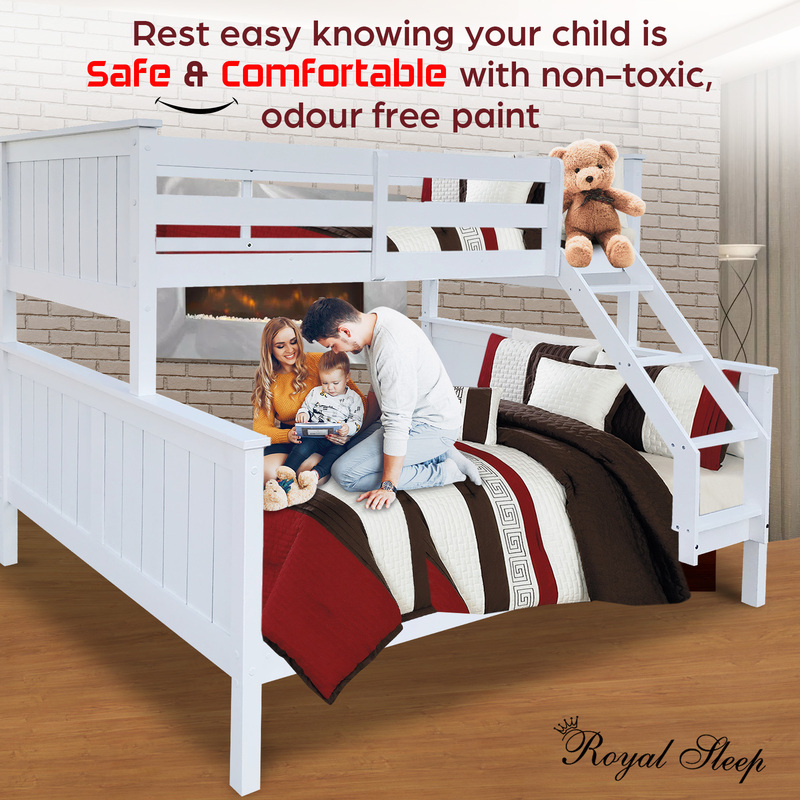 Our space saving design, with large underbed storage and finished in an environmentally friendly, non toxic and odour free paint is the perfect addition to any bedroom. 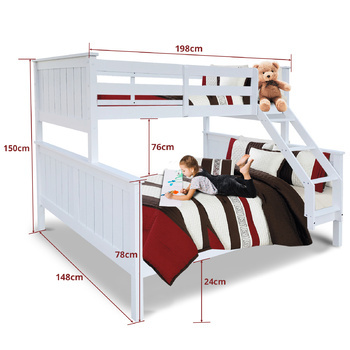 Better yet, as your kids grow out of the bunk bed design, simply convert it into a double and a single bed. 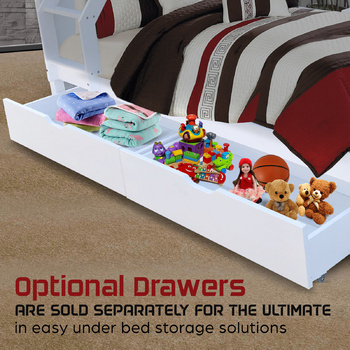 This item is not available on display, but is available for pick up.